Dr. James Ludes, Jane Gerety and Senator John Kerry in Ochre Court prior to the taping of Story in the Public Square at Salve Regina University, Newport. NEWPORT, R.I. – Silence filled the great hall of Ochre Court. The cameras rolled and the audience sat in hushed anticipation of the special guest. 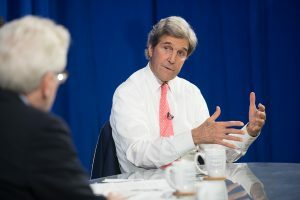 On October 10, former U.S. Secretary of State John Kerry filmed a special edition episode of Story in the Public Square at Salve Regina University in Newport, Rhode Island. Salve Regina President Sister Jane Gerety gave the opening remarks welcoming the Secretary to the University. 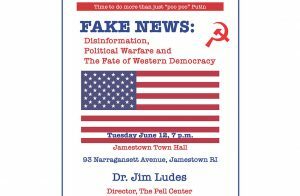 Hosted by Jim Ludes, Executive Director of the Pell Center for International Relations and Public Policy, and G. Wayne Miller, Senior Staff Writer at The Providence Journal, Story in the Public Square is a weekly 30-minute program that tries to make sense of the stories shaping public life in the United States. Upon answering the first question from Story in the Public Square co-host Jim Ludes, Kerry broke his stoicism. “Let me begin, first of all, by expressing and sharing the euphoria of the Red Sox victory last night,” he said, to much laughter and amusement of the audience. 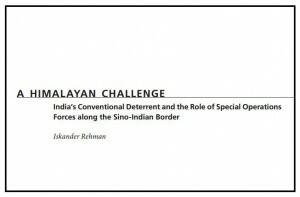 As a young man in his college years, he was steered into public service by his experience with war. He recalled his earliest memory at age four walking through the rubble left by World War II in the streets of Paris holding his mother’s hand. Hearing the glass crunching under his feet, he realized this was because of war. He remembered friends going off to fight the Soviets and representatives sent from his school to support the civil rights movement. President Kennedy’s assassination and his own service in Vietnam showed him that each day we are lucky to be here. 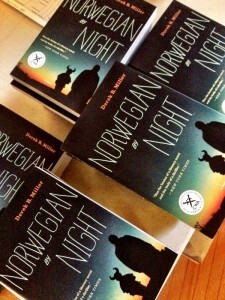 The title of his book is no exception. He has a fierce idealism and a hopefulness about America and American citizenship that resonated throughout the discussion. “How do we protect democracy and how do we sail forward?” asked Ludes. 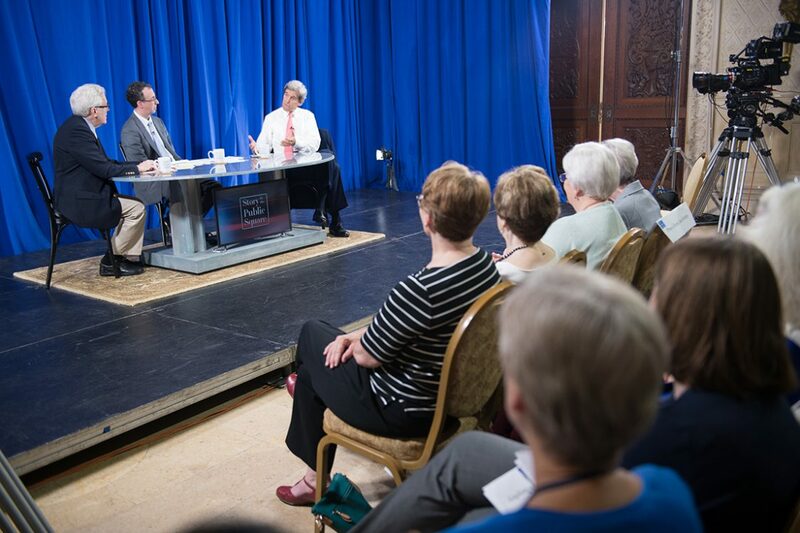 Senator John Kerry, right, addresses questions from G. Wayne Miller, left, as they tape a segment of Story in the Public Square in Ochre Court, Salve Regina University, Newport. America is at a low point, he went on, but history unfolds like that: it ebbs and flows. Kerry was at the forefront of many initiatives in his early political days and urged young people to turn their aspirations into voting issues. Getting out there and doing something about it — that’s how things get done. We have to put people in Congress to solve these issues, he said. His advice to the students in the room? “We get another shot, the second shot is coming in twenty-seven days,” said Kerry, “call and ask what you can do to help.” The 2018 midterm election is Nov. 6. There is a great anger in the U.S. that is dividing the country day-to-day and breaking down democracy, Kerry said. In order to restore it, he said, we the people must stand up and define it. 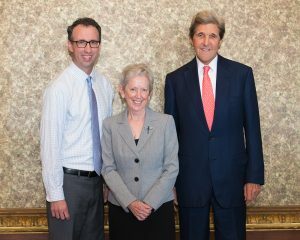 During the question-and-answer portion, an audience member asked what Secretary Kerry thought was the most important thing that universities should be teaching their students. He explained how during his time in Vietnam, soldiers would more likely be ambushed than attack first. Yet in World War II on the beaches of Normandy, they marched straight to their death. Many of the men standing next to them were shot. Senator John Kerry, right, addresses questions from G. Wayne Miller, left, and Dr. Jim Ludes as they tape a segment of Story in the Public Square in Ochre Court, Salve Regina University, Newport. 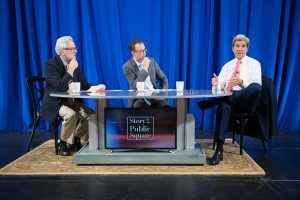 The episode of Story in the Public Square featuring John Kerry will air on October 28, on Rhode Island PBS and four times during the weekend on SiriusXM’s P.O.T.U.S. (Politics of the United States), channel 124. Story in the Public Square airs on Rhode Island PBS in Rhode Island and southern Massachusetts on Sundays at 11 a.m. and is rebroadcast Thursdays at 7:30 p.m. An audio version of the program airs Saturdays at 8:30 a.m. & 7:30 p.m. ET, Sundays at 5:30 a.m. ET, and Mondays at 12:30 a.m. ET on SiriusXM’s popular P.O.T.U.S. (Politics of the United States), channel 124. “Story in the Public Square” is a partnership between the Pell Center and The Providence Journal. 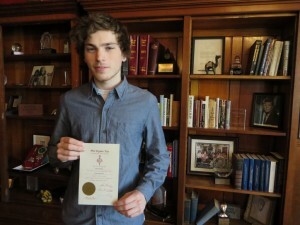 The initiative aims to study, celebrate and tell stories that matter.